THE SCENE: Mid 50s. Foggy. Still wet from yesterday. Mosey to track. Stop halfway for 10 burpees. Track closed. Omaha to adjacent parking lot. Deck of Cards stuff. Draw one card to determine number of “sprints” (one is one, so sprinting to the fence–just under 90M–counts as one sprint, and sprinting back from the fence counts as another sprint). First man back draws next two cards to determine exercise and number of reps. Rinse and repeat. We drew a lot of face cards. Our sprints may have gotten slower over time. MARY: No time. QIC got the PAX back approximately 90 seconds late. For shame. 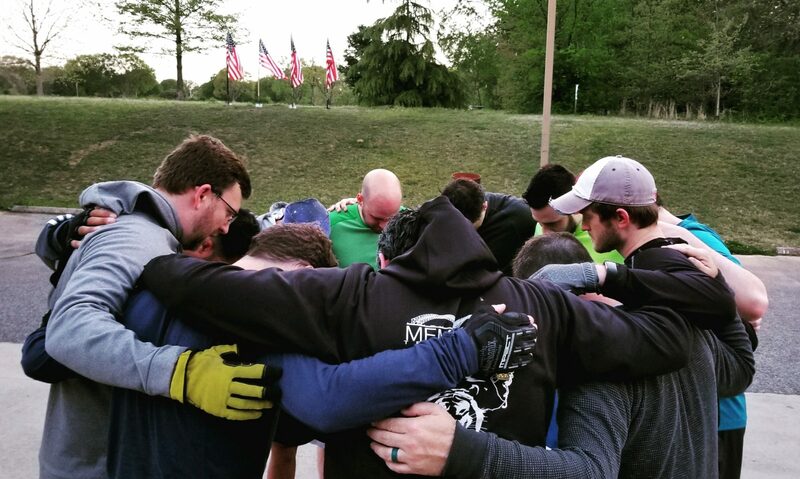 MOLESKIN: This was a great F3 morning! As someone who throws a lot of shade at the suburbs, I’ll be fair and say I drove away wishing I lived closer to the Levee. It’s a great AO with a solid group of guys. T-Claps to Pronto Pup for covering everyone’s coffee! Lastly, as one who has been to Sunrise, Gibsons, Ugly Mug, Einsteins, The Levee Creamery on Highland, Crave, Bryants, all the parking lots, and now The OG Levee Creamery… the OG Levee Creamery is the region’s best java joint. Others may have subjectively superior brew, but proximity to AO combined with the fact that they had protein balls on the table and numerous cups of coffee on the counter for us before they even unlocked the door… yeah. It’s not really even close. Every time Mr. Withers or his backup singers (who cares which?) says “lovely day,” perform one merkin. It’s a lot of merkins. We divided into four groups. First man sprints halfway, then comes back to pick up second man. First man sprints to end of lot while second man copies first man. Repeat for whole line x2. MOLESKIN: Meter Maid was very late. I ignored Cheesesteak’s many suggestions, predictions, and false prophecies. One particular falsehood that must be called out is Cheesesteak’s claim that I don’t use music when I Q. As a matter of fact, I Q’d a music-themed workout with at least seven songs on July 19, 2016, at The Dog Pound in Knoxville. The Levee will probably still be the King of the Bluff for April. Due to wet conditions, mosey’d to the football field to do 2 rounds of 11s on the turf. Talked on the importance of mentorship. Seeking out a professional/personal mentor and also seeking out those to mentor either professionally or personally.